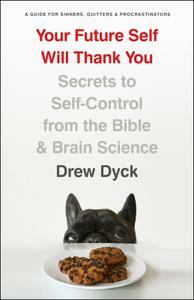 Your Future Self Will Thank You is a compassionate and humorous guide to breaking bad habits and growing your willpower. It explores Scripture's teachings on how to live a disciplined life while offering practical strategies for growth based on the science of self-control. Whether you want to deepen your spiritual life, conquer an addiction, or kick your nail-biting habit, this book will help you get motivated, stay on track, and achieve your goals.